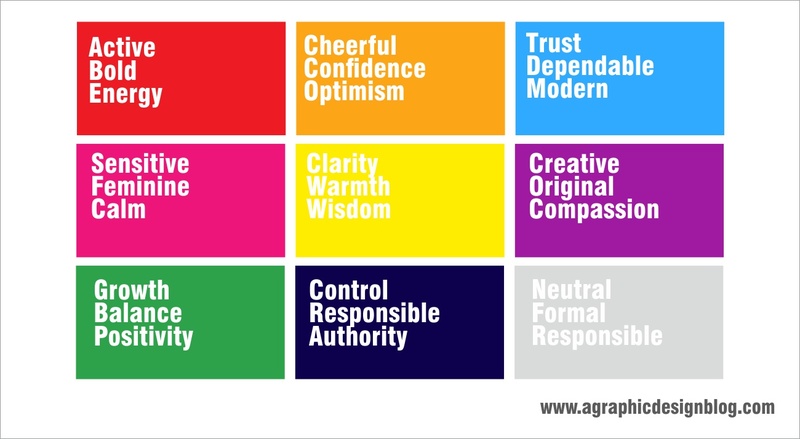 An important aspect in creating maintaining a brand is the visual elements of a brand, one of these is the colour. When I get a brief to design a logo, one of the thing I ask the client is what the brand stands for, that is how do you want to be perceived in the public – reliable, fast, efficient, trustworthy etc. Colours are associated with certain attributes, red represents bold, active, excitement, energy; examples of brands with this brand attributes is CocaCola, Vodafone, Adobe. So if your new business / brand represents these as well then it’s most likely that some designs elements in your identity will be red. 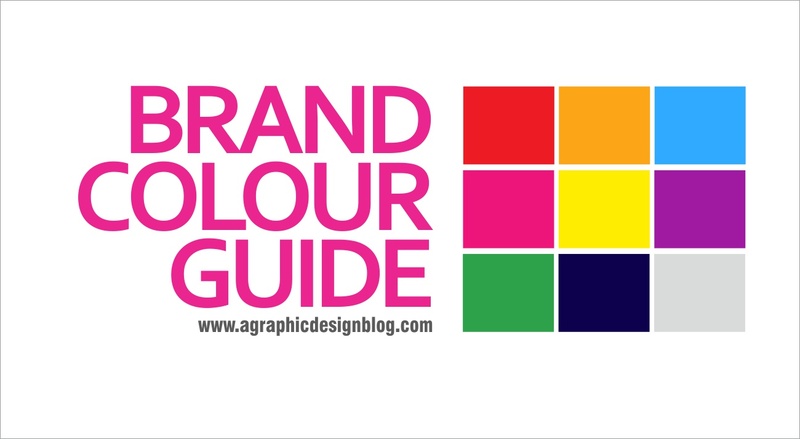 As a graphic designer, while creating a visual identity manual with a client, specify what colours you want the brand to be identified with, this is necessary to maintain consistency. Have you ever seen a Cocacola advert on a blue background? It’s usually either red or white; or an MTN advert with a purple or some other random colour, yellow is usually the dominant colour. There are times you can bend the rules though, but it’s not often. Basically, when creating adverts / designs for an existing brand, you should request for the visual identity manual so you don’t create designs outside the guidelines of the brand. The visual identity manual will contain the instructions of how to apply the elements of a brand. I’d share a design I created for a brand I had worked with – Kia, of course there was a visual identity manual, there were certain colours, where the logo should be placed etc. 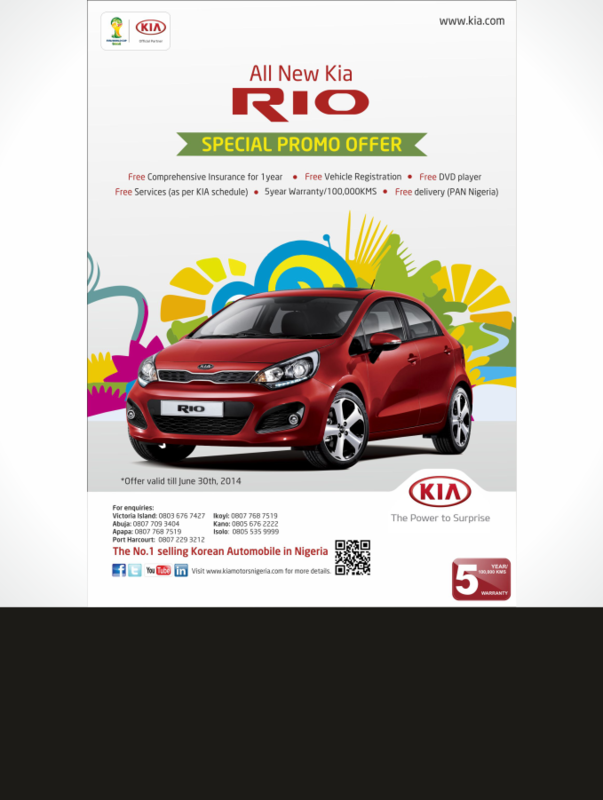 The rules were bent here a bit here though as this advert was for a special promotion during the 2014 FIFA World Cup Brazil, Kia was a sponsor. The design element behind the car is a FIFA World Cup Brazil brand element but was integrated the purpose of integrating the brands together. Any way I’d stop here, it’s 11am and I need to go make breakfast for my family. I hope this little knowledge I’ve shared will help as you create or sustain a brand.